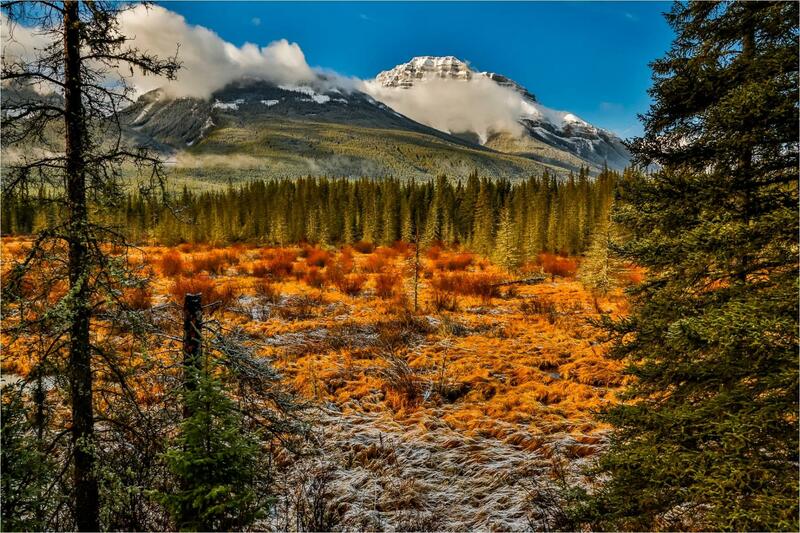 The Canadian Rockies in Autumn (or Fall, as we call it here) brings forth an amazing array of colours – golds, yellows, and reds. This brilliant display only lasts for a short spell from late September to early October. It is a time when the beauty of the forests covers the whole mountain landscape with the warmth of colours, as if preparing it for the arrival of the cold winter. 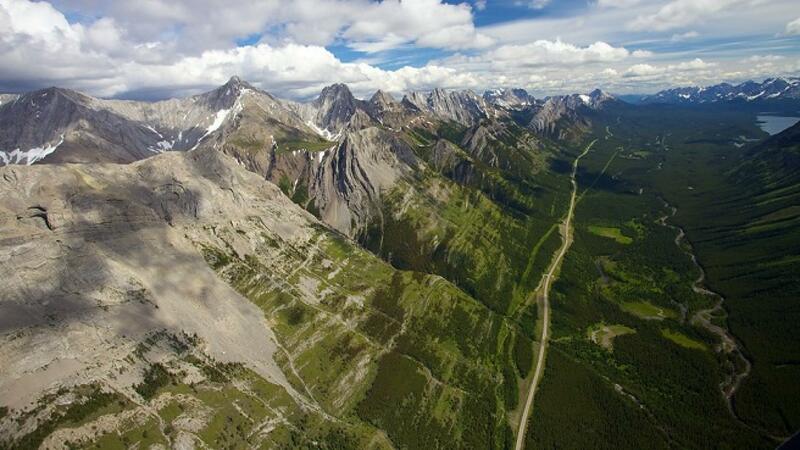 Hiking trail leading into the Larch Valley in Banff – this will be our first hike. 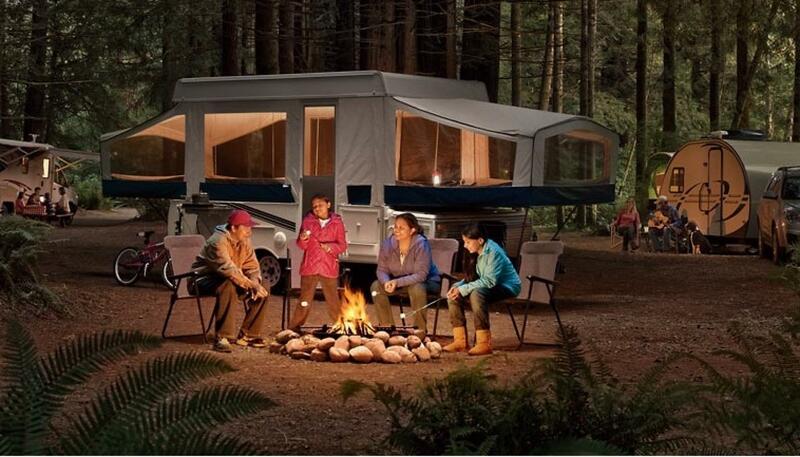 The second part of the tour gives you the chance to experience camping in a forested campground in an RV. You will get to cook your own meals, sit by a fire, soak in the natural surroundings, and feel what it is like to be so close to Mother Nature. On the last day of our stay, we will visit the Royal Tyrrell Museum in Drumheller and look at the ancient remains of dinosaurs. The museum houses one of the world’s largest collection of dinosaur bones and fossil remains. 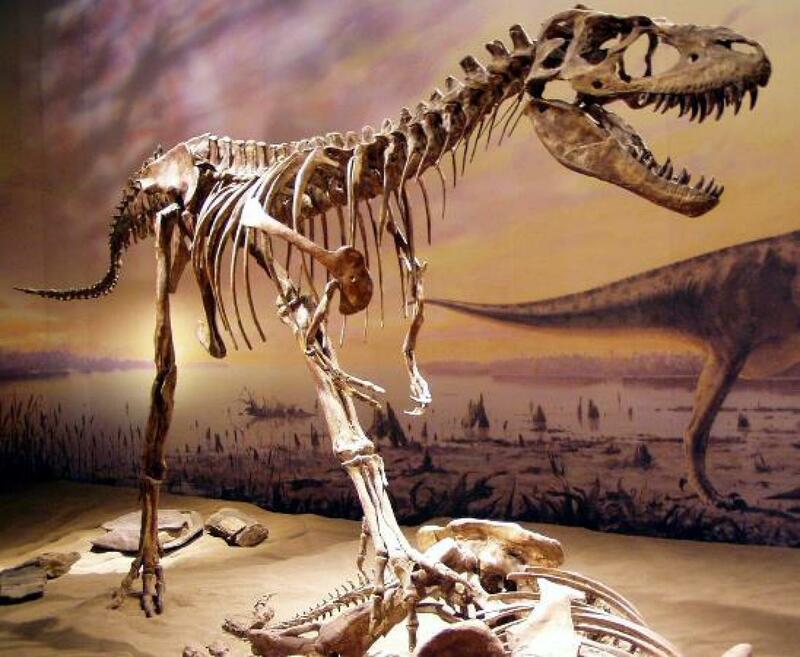 You will be amazed with the history of dinosaurs who once roamed the earth. Tue 27 Sep: Arrival in Calgary – transfer from airport to hotel in Banff, free evening in Banff town. 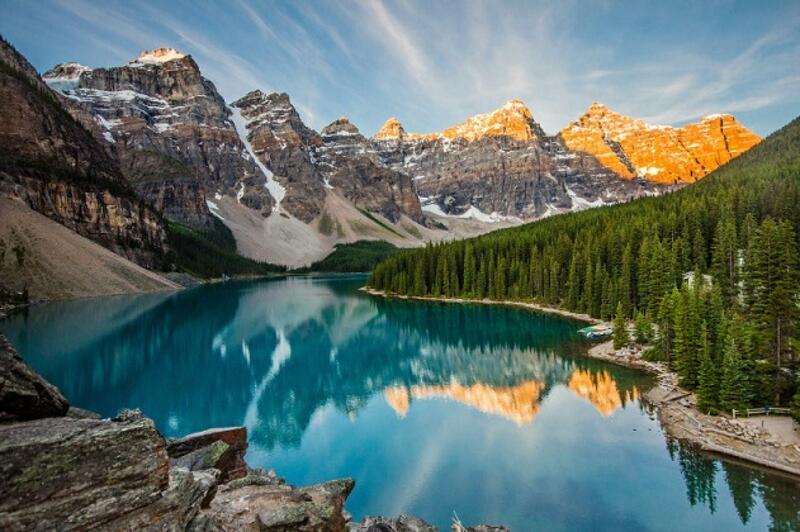 Wed 28 Sep: Early morning departure to Lake Moraine – hike to Larch Valley, then return to Banff for Gondola ride up Sulphur Mountain and Banff Lake Cruise. 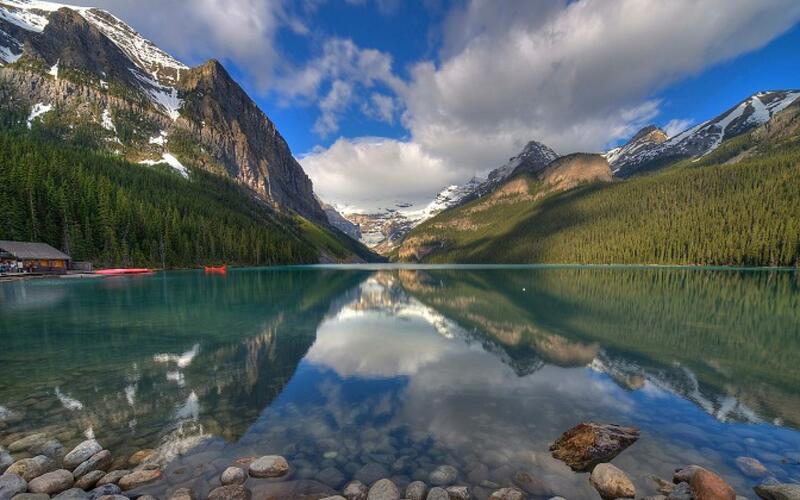 Thu 29 Sep: Early morning departure to Lake Louise – hike to Lake Agnes, then return to Banff for Cave and Basin tour. Last day in Banff – shopping, souvenirs. 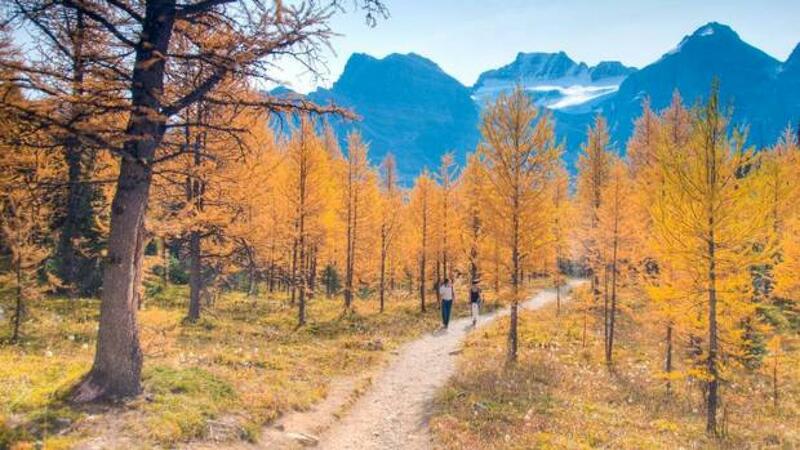 Fri 30 Sep: Early morning departure for Columbia Icefield Discovery Centre – See amazing sights along Icefields Parkway of mountains, lakes, and waterfalls. Optional: Glacier Adventure Tour - Ice Explorer and SkyWalk. Return back along Icefields Parkway to Canmore town. Sat Oct 1: Free day in Canmore town and campground. Optional: Explorer or Adventure Cave Tour. 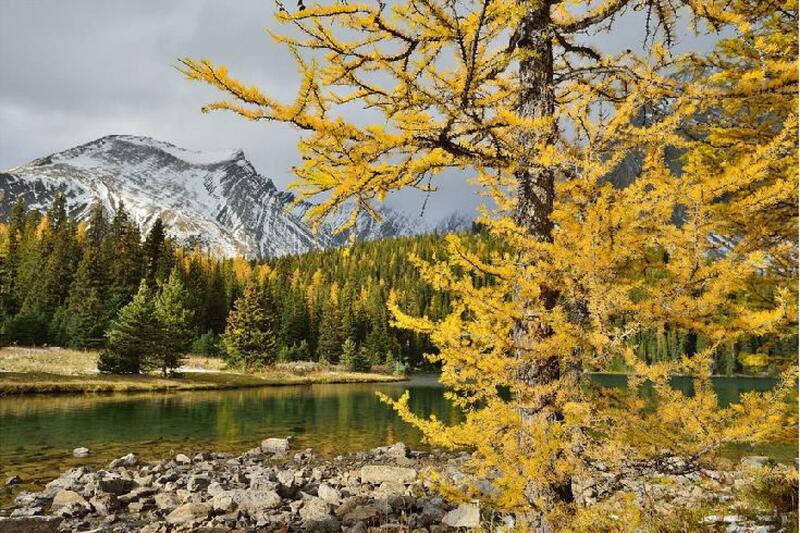 Sun Oct 2: Hike Chester Lake, lunch at Kananaskis Village, mid-afternoon free at campground. Tue Oct 4: Early morning departure to Drumheller – visit Royal Tyrrell Museum, and sightseeing tour of canyons and hoodoos. Return to Calgary in the evening. The price for this tour is estimated at CAD$2,514 per person. Minimum 4 to travel. Maximum 12. CAD$2,363 per person when group of 8 people travel. CAD$2,103 per person when group of 12 people travel. As there is limited vacancy (max 12 pax) for the trip, hence confirmation of participation is by first-pay-first-confirm basis. Hence, your deposit of CAD$700 at the latest by 29 August 2016 would be very much appreciated. The full final payment to be by 9 September 2016. The currency conversion rate is based on the day we receive and convert to CAD. If the rate is lower, we will put the extras towards the balance of total amount. If it is higher, you would have to top up the balance. Please message me together with the transaction slip at 9622 6838. - Hotel stay is in B&B or 3-star accommodation depending on availability. Rooms are Twin Sharing or Quad Sharing, or Resort chalet up to 6 people.